Whether you’re being brought in from the outside or elevated into a new role, there’s a good chance you will work with someone who wanted your job. There may be people in the organization that were interviewed, had been asked to interview and opted not to, or were not asked to at all. And they think they're more qualified for the role than you are – or at least resent you for being there. Their perception may not be based on logic, and it’s crucial to be aware of the dynamics of rivalry. It is important to understand what has happened, and how they feel about it, so that you can build effective working partnerships. Rivals are important to your success in many ways. They understand the culture, other leaders, and “where the bodies are buried.” They have key historical, functional, and technical knowledge. Failure to bring rivals into the fold can result in missteps and missed opportunities, as well as incomplete or fragmented team formation. Strained relationships can lead to increased misunderstanding and misattribution of motive, and block essential communication. If your rival held an interim role in your position during the search for a permanent leader, the challenges may be compounded. When asked to identify potential rivals for Newly-placed Leaders, Hiring Managers and HR Partners frequently say, “There are none – no one else was qualified for this role.” With some gentle probing, they soon recognize that there may be several rivals in place. It is then that they see the need to expand their definition to accurately assess New Leaders’ risks associated with the presence of rivals. In our work, we define a rival as “anyone who may be unhappy to have this New Leader in this role.” While logic may suggest that there were no viable rivals that met the requirements of the position, it is the emotional state of the would-be rivals that must not be ignored. There are very few rivals who announce themselves to New Leaders by publicly sending a “shot across the bow.” Though they may be unhappy with the presence of the New Leader, they also understand that being overtly hostile can be personally and professionally risky. The Interim Leader – if someone has been capable of “holding down the fort” while a search for the New Leader takes place, how could they not harbor negative feelings about being looked over for the permanent role? The Upstart – organizations often make the mistake of publicly dubbing leaders as high-potential when they are, in fact, not ready for promotion. They may have natural leadership ability, but it takes experience and maturity (that they lack) to become properly prepared for high-level leadership roles. The Technical Expert – it is common for technical experts to compare their own technical ability with that of a New Leader, and ignore the other skills required for success in the role. Failure to address their misconceptions means that New Leaders can have rivals lying in wait – from the moment their hire is announced or their bio becomes public. The Culture Keeper – this is the person who understands the history and why the operation engages in certain practices. Many organizations respond to organizational challenges by hiring New Leaders to serve as change agents. If change-agency, or the transition itself, is mishandled, it can naturally cast some team members in the role of “culture keeper.” Well-intentioned but obtuse change efforts cause culture keepers to oppose those misguided New Leaders. And those New Leaders may need the support of those culture-keepers to gain credibility or become successful. 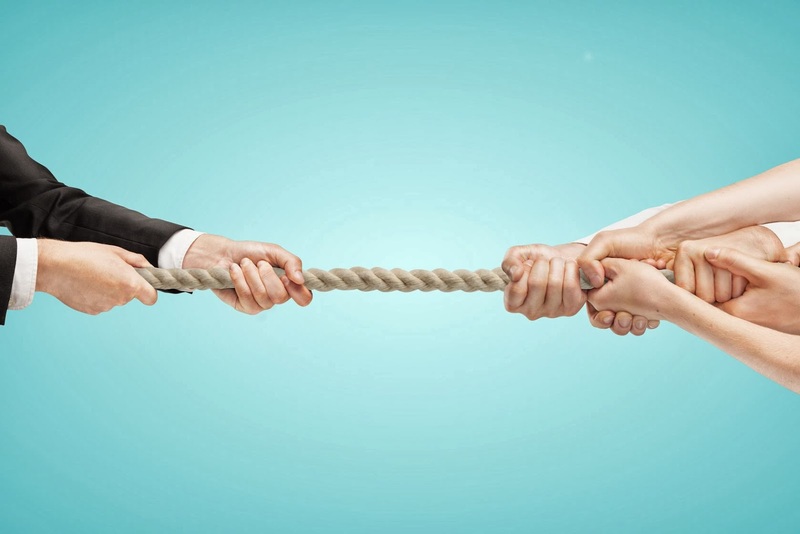 In order to engage in a successful transition, every New Leader must identify and address the inherent challenges associated with workplace rivalries. Check back here next month, when we will explore New Leader strategies for heading off unproductive behavior and bringing various rivals into the fold. Read Part 2 of this blog series. Why Do We Perpetuate the Myth of New Leader “Fit”? New Leader Failure: A Problem or A Symptom? New Leaders: How Does Your MBTI Profile Influence Your Transition? E vs. I: How Does Your MBTI Preference Influence Your Transition? S vs. N: How Does Your MBTI Preference Influence Your Transition? T vs. F: How Does Your MBTI Profile Influence Your Transition? J vs. P: How Does Your MBTI Profile Influence Your Transition? Posted in Advice for Hiring Managers, Advice for Internal Consultants, Advice for New Leaders, Mitigating the Risk of New Leader Transition, OnBoarding as Risk Management, Things to Look Out For, Why New Leaders Fail.